Leganes vs Rayo Vallecano predictions for this Saturday’s Madrid derby in Spain’s La Liga between two of the bottom three. Read on for our free betting tips and predictions. This is a local derby in the Spanish capital although one that hasn’t been played much in recent years. Leganes and Rayo Vallecano have managed to just miss each other with one going up in the same season the other has headed in the opposite direction. This Saturday’s match at Butarque will be the first meeting between the clubs in 14 years to take place in either the Primera or Segunda Divisions. It’s also the first ever top flight meeting but it comes at a time when both sides find themselves in the relegation zone. Leganes are currently rock bottom with just four points from seven games. The most incredible thing about that is that they’ve already beaten Barcelona this season but have suffered defeats in 5 of their other 6 fixtures, the most recent of which was a late 1-0 loss at Betis last weekend. Like Leganes, Rayo feel as though their performances have warranted more than the 5 points they’ve amassed so far. They come into this match on the back of two 2-2 draws against Real Sociedad and Espanyol. Slowly they seem to be warming to the task of top flight football although they will need to keep their discipline here in a derby match, having already thrown away their chances of getting a result against Alaves with an early red card. They actually lost that match 5-1 but their performance wasn’t actually that bad and they do look to have a goal or two in them with Raul De Tomas impressing up front while Gael Kakuta is a much more consistent performer these days on the wing. They’ve taken 4 points from their 3 away games so far, a decent return and the only road match they suffered defeat in was against Atletico Madrid and they were a little unfortunate that day. Therefore there looks to be some value in backing them to get a result here against struggling opposition. Leganes pulled a performance out of nowhere to beat Barcelona but overall they look short in key areas. They completed less than 100 passes last week against Real Betis, an incredibly low figure and they’ve only won 2 of their last 13 in La Liga overall. 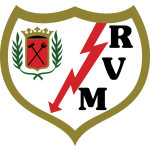 All things considered, backing Rayo Vallecano Double Chance could be the way to go here with the visitors perhaps boasting a little more firepower and quality on the ball. 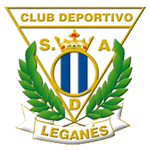 Leganes have only won two of their last 13 La Liga games (D2 L9), keeping only one clean sheet in those matches (0-0 vs Deportivo de La Coruña in April). Rayo Vallecano have only won two of their last 11 La Liga games (D3 L6), the last one coming on 14th September (1-0 vs Huesca). Leganes are winless in their last 11 La Liga derbies (D3 L8) while Rayo have lost five of their last six (W1). Leganes have posted the lowest average possession figure of any side in La Liga this season (34.84%). Eibar have lost possession more times than any other side in La Liga this season (1314), with Eibar’s Ruben Pena losing possession the most often of any player (153). Rayo Vallecano player Oscar Trejo has been involved in three goals in his last four La Liga games (one scored and two assisted). Nabil El Zhar has scored three of Leganes’s six goals in La Liga this season, with all of them coming at Butarque. Leganes manager Mauricio Pellegrino has only won one of his nine games against sides from Madrid in La Liga (D5 L3), 2-0 in November 2012 against Atletico de Madrid as Valencia’s boss.